Add twinkling personality to your décor with glimmering sequin masterpieces in Shimmer Art. 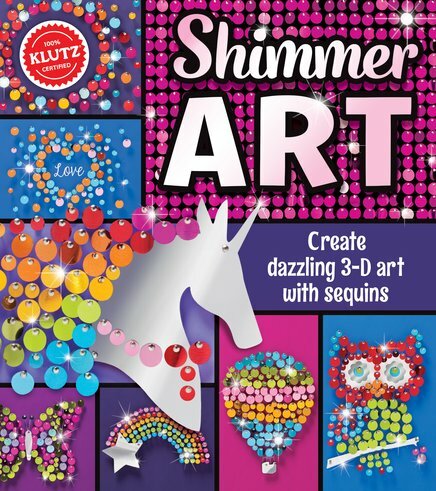 Shimmer Art is craft 3-D art that stands out to the max! Use pins, cardboard and sequins to add some sparkle and shine to your room. Choose from 12 dazzling designs including a unicorn, hot air balloon, sea horse, peacock and more. Our only-from-Klutz double-tipped tool helps you easily push pins and sort sequins. Display your eye-catching creations to bring a little bling to your space. It’s hours of fun guaranteed!